With over 150 years of tradition, this physician bag is still one of our most popular sizes and styles. 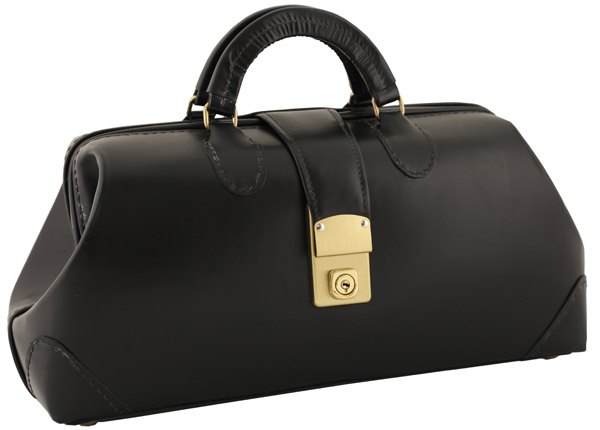 It features a fine leather exterior, anti-bacterial lining with two zippered pockets, double leather handles, all brass hardware and key lock. Handsome, enduring medical bags designed for the exacting needs of medical professionals. All bags are individually handcrafted, with close attention paid to details. Most bags feature reinforced corners, double leather handles, vinyl linings, and brass hardware. Made in the USA.